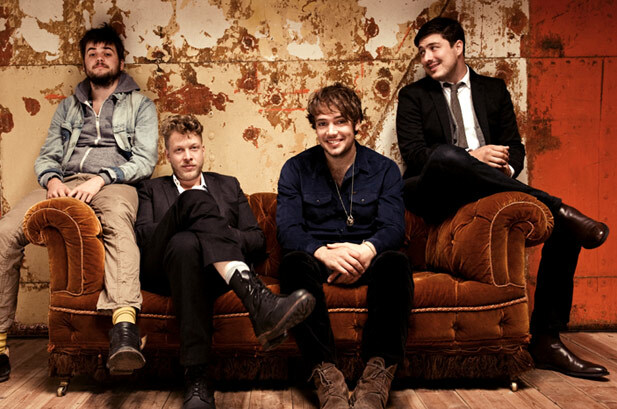 Fueled by airplay at five stations monitored by Nielsen BDS for the chart, on-fire British folk/rock band Mumford & Sons debut at No. 58 on Billboard's Country Airplay tally with "I Will Wait" (Gentleman of the Road/RED/Glassnote). The song is the first single from the group's runaway hit album "Babel," which debuted the week of Oct. 13 at No. 1 on the Billboard 200 with 600,000 sold, according to Nielsen SoundScan. The sum represents the largest sales week for a rock band since 2008; the set has sold 1.2 million to date. "Wait" has moved 873,000 downloads and debuted at its No. 23 peak on the Billboard Hot 100 the week of Aug. 25. Now in its 17th week on the list, it ranks at No. 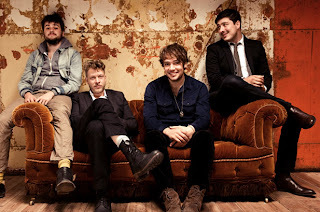 34, having racked airplay chart reigns of 11 weeks on Triple A and one on Alternative. For the Nov. 26-Dec. 2 tracking week, BDS shows spins at five Country Airplay reporters: WWKA Orlando, Fla. (46); KMLE Phoenix (23); KAJA San Antonio, Texas (19); WCKT Ft. Myers, Fla. (13); and WCTQ Sarasota, Fla. (eight). "When we saw the album blow up and determined who was buying it, the decision to add the song was easy," WWKA PD J.R. Schumann says. "We just had to figure out a way to let our audience know how cool it really is. Country music has evolved into something really, really cool. The problem is that country radio hasn't [always] been cool. This song helps us turn that perception around." Schumann and KAJA PD Travis Moon say that social media reaction from listeners is vigorous, with Schumann describing it as "nuts." "The response has been big and [invariably] positive," Moon says. "I don't really have any data yet to see if it was a wise choice from a research perspective, but my gut and the timing made me feel that it's perfect for how my playlist is set up right now." Moon admits that he could've easily missed the Mumford & Sons buzz factor. "I probably look stupid, but I honestly had never heard of them. I heard this song and thought it sounded like a perfect curveball to add to our playlist. It sounds so fresh and just explodes on the air. Even if it doesn't make it big [at country], it has been a perfect spice for our playlist. It's made people talk about my station." "This song just fits," Schumann echoes. "If it had been done by Dierks Bentley or Zac Brown Band, it would already be a No. 1 country hit."